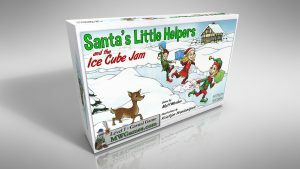 Help Santa collect enough of the colorful cube-shaped fruits that magically appear on the snow and ice around his Workshop to make his famous “Ice Cube Jam!” Change the map, slide on the ice, pick up cubes and be the quickest elf to drop them off to get the biggest helping of the delicious jam! Each player is a North Pole Elf, venturing out onto the snow and ice to collect sets of colored cubes and deliver them back at the Workshop in the center of the map. The map is a randomized grid made up of terrain cards. 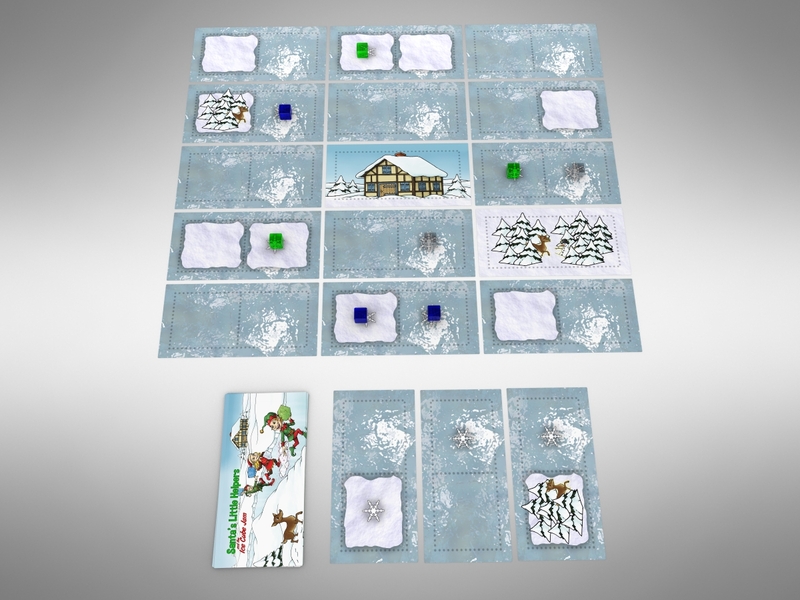 On a player’s turn, he/she can modify the map by playing a new terrain card onto it and then move their elf pawn twice. Movement can either be a single step into the adjoining square, or a long slide across open ice, collecting ice cubes along the way. 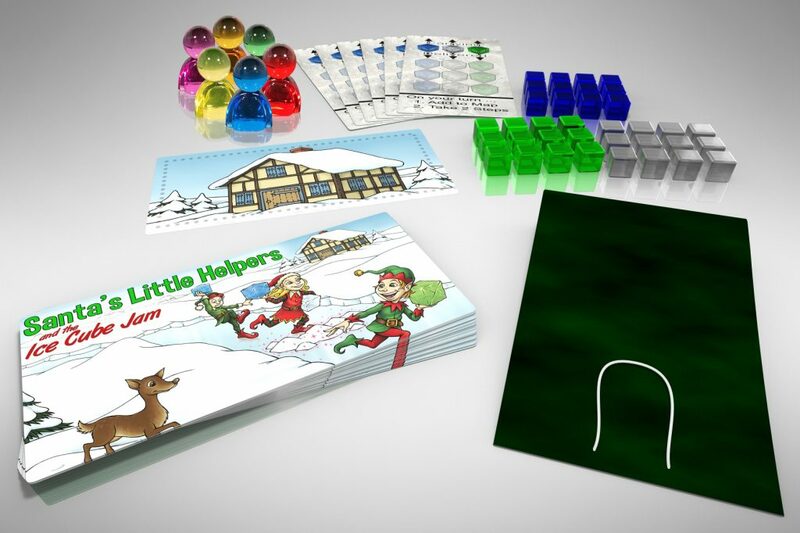 Collect a set of 3 cubes — 1 of each color — and deliver it to Santa’s Workshop to score. Be the first to score 2 or 3 times (depending on the number of players) to win!